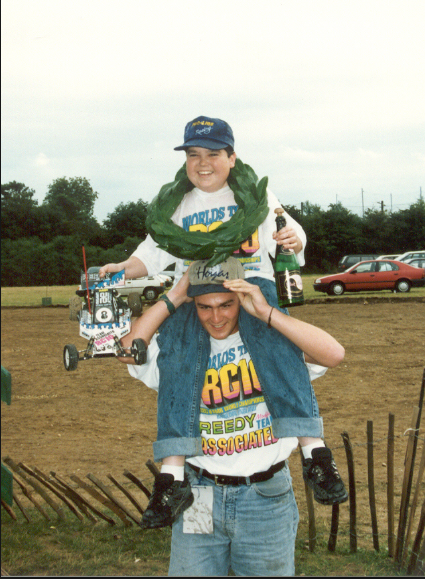 Many of us were privileged to be able to not only watch Brian but work with him during his rise to dominance in RC racing. The confidence Brian exuded at the track was inspiring if you were on his team and terrifying if you were racing against him. His tireless work at the track drove innovation and at the same time gave many racers a high standard to aspire to. Brian was a pioneer. He was the first “Pro Driver” and he navigated this position with class and poise. He was a powerhouse in RC racing and will be remembered forever as one of the most important drivers of all time. Brian will always be a champion.